There is an interesting article in www.writermag.com about mistakes people make in e-book publishing. 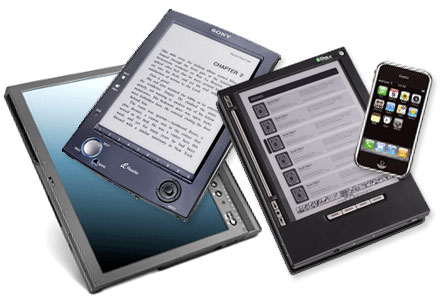 Putting forth quality e-books is very important to propelling the industry forward and changing stereo-typical opinions of the newest method in publishing. Anymore, people are foregoing publishing books in-print and using electronic applications for putting their books into the marketplace. Sustainability factors and not wanting to have books sitting in warehouses and having to pay for the space, often factors into the equation when deciding to use an electronic publishing format. Not to mention profit margins. Poorly designed book covers – nothing says “open me, buy me” better than a well designed cover. It is as equally important in electronic publications. Failing to spread the word – if you are selling over the internet, you MUST be marketing over the internet. That where you’ll find your potential book buyers. Publishing too quickly. Take time to have your book edited. It is part of offering a quality publication. Not being observant of what others e-book authors are doing. You can learn a lot by reading other’s e-books and picking up what a quality e-book looks like. Non-fiction writers, just because you have published an e-book does not mean that research is no longer needed. That is errant thinking! Limiting your options – there are many more e-book distributors than just through the Amazon channel. Going it alone. Network with other independent publishers to see what they are doing – share advice, support each other, surround yourself with others you can learn from. Impatience – many claim there is no money in e-book publishing before taking the time to utilize a full range of marketing tactics. It takes time and effort to build an audience! If you are considering e-book publishing, go into it with some knowledge. Many libraries carry Writer Magazine, check out the article. Start out right by avoiding some common publishing mistakes people make in this new generation of publishing. This blog brought to you by Sue Batton Leonard, author of Gift of a Lifetime: Finding Fulfilling Things in the Unexpected.click for e-book, audio and paperback book information.